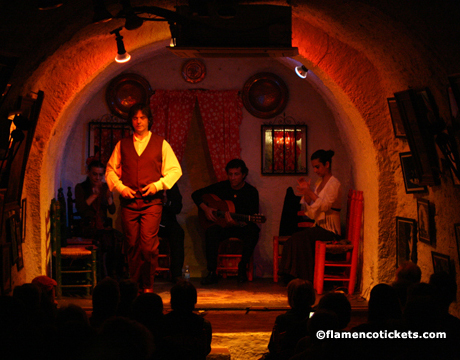 Las Cuevas "Los Tarantos" is located within a former cave home in the Sacromonte neighborhood of Granada. 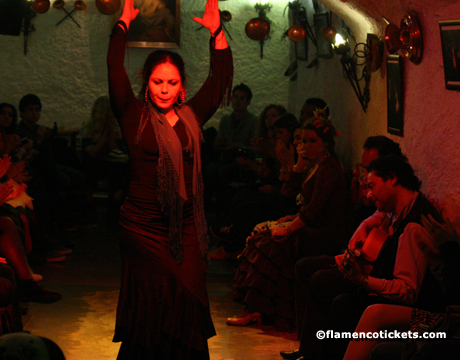 Founded in 1972 by Don Jose and Dona Concepcion Martin Quesada Maya Maya, the cave was transformed into a special venue for Zambra style flamenco, typical of the region of Granada. 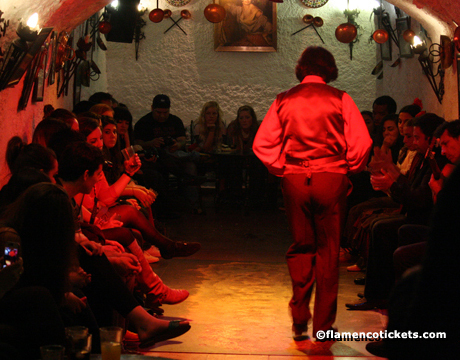 Today the venue remains family run and now includes three different caves. 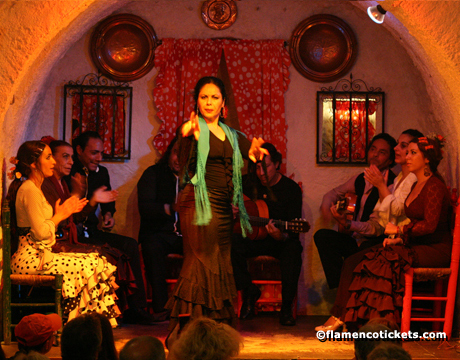 The nightly flamenco shows continue to feature Zambra, the regional, family style of flamenco which at one time was reserved for gypsy weddings only. 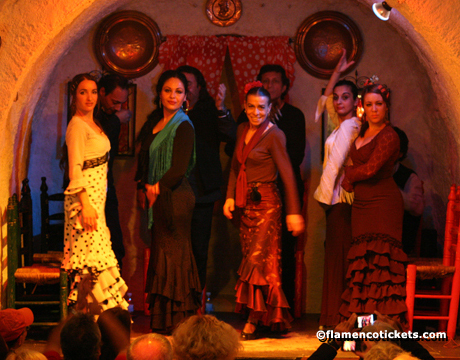 And on many nights just as the show concludes, a few lucky spectators are chosen by the dancers to get on their feet and join in the dance and celebration. 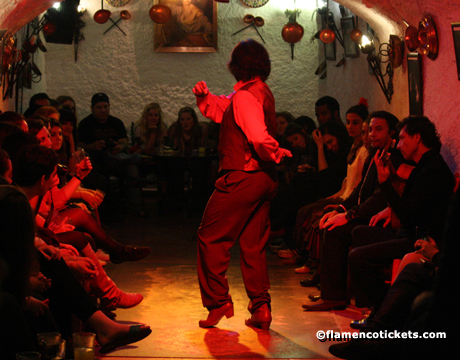 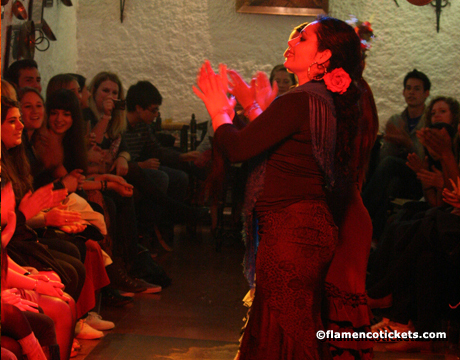 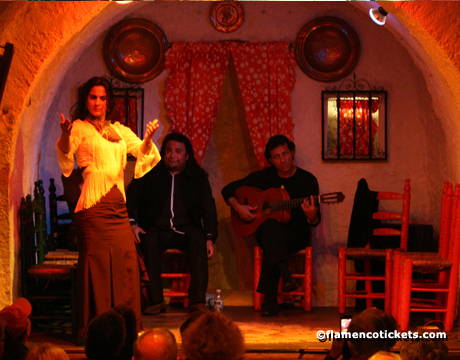 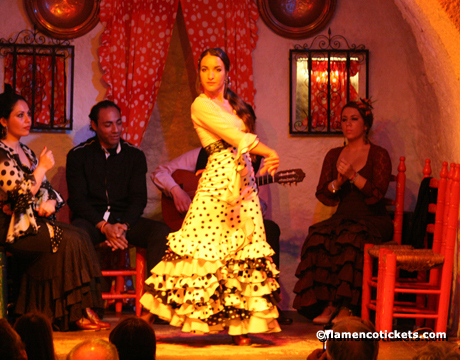 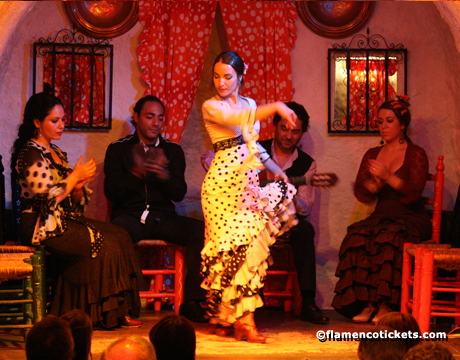 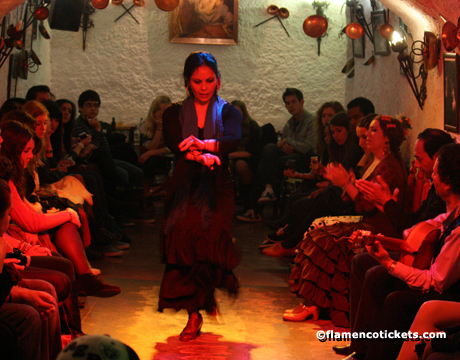 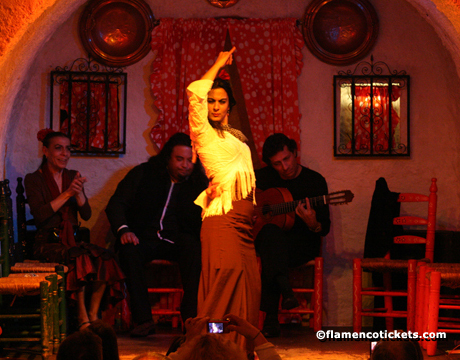 Ticket options include the flamenco show with a drink or dinner featuring traditional Granadan cuisine. 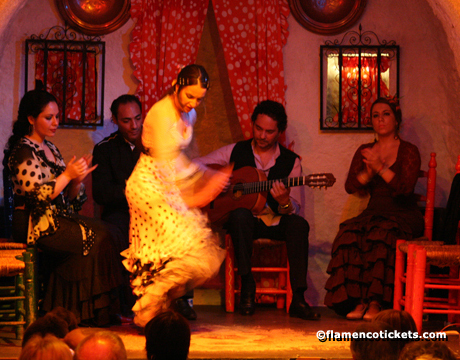 The fixed price, seasonal menu includes a first and second course as well as dessert and beverage. 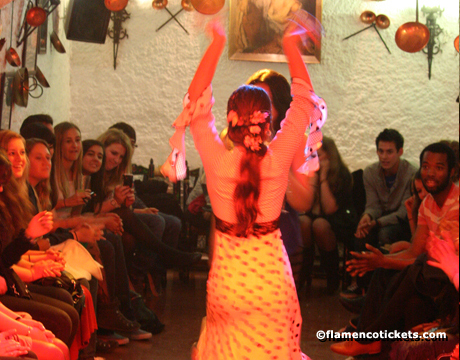 If chosen, the option for transportation (round trip) includes pickup from city center locations (direct pickup from some hotels along the route is possible) and a brief panoramic visit to the Mirador San Nicolas with wonderful views of the Alhambra. 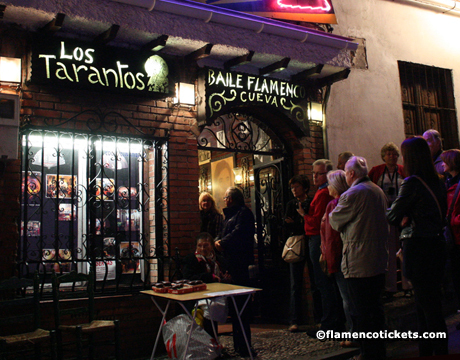 The route follows the narrow streets of the Albayzín. 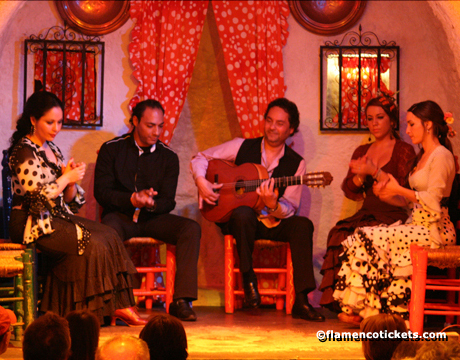 This former Arab quarter includes typical Carmens, private homes in Granada with terraces that overlook the Alhambra. 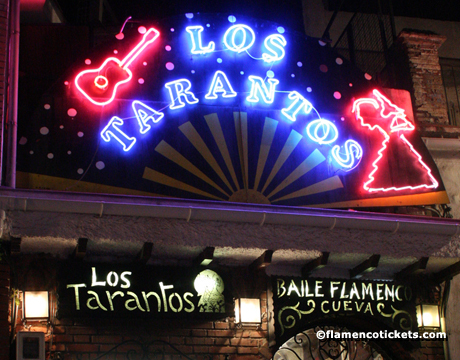 Over the years many important figures from city and province have performed in Las Cuevas "Los Tarantos": Luis Heredia "El Polaco", Morenito de Íllora and the singer Chonchi Heredia are just a few examples. 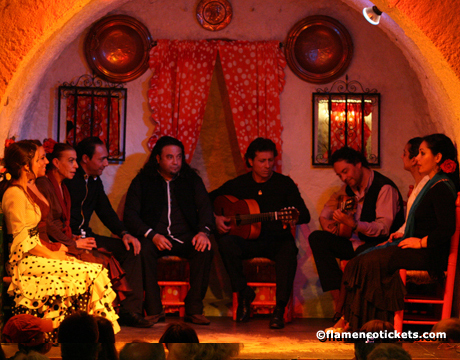 Las Cuevas "Los Tarantos" has also enjoyed spontaneous visits from artistas such as Paquito Amaya, Vitorino de Pinos, Julio Terremoto, La Porrona, La Coneja, Bienvenido Maya y Guzmán Albea. 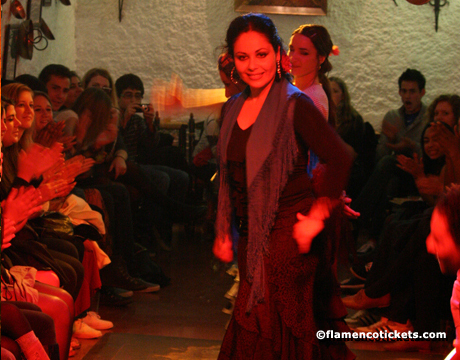 All have come to perform and enjoy a unique venue that only a city such as Granada can offer.